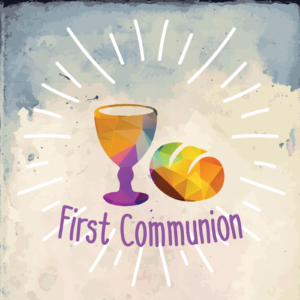 In order to be prepared to receive the sacrament of Holy Communion and all of its benefits, 5th grade students and their parents are invited to participate in this three-session workshop, normally held in the spring. Older students who were previously unable to complete the workshop are also encouraged to attend. Hands-on activities help families grow in their understanding of God’s coming to us in and through the sacraments of both Holy Communion and Baptism. Offered once per year, the workshop culminates in a special First Communion service on Maundy Thursday (just before Easter). Pre-registration is required by emailing Roseanna Andersen.